Invited to Mondial Coiffure Beauté in Paris, Vern team demonstrated Vern Intelligent Combined Scissors which aroused lively discussion amidst top technicians, hairdressers and distributors of noted hair product altogether onsite. In any international hairdressing shows such as in Italy, the U.S.A, Australia, France, the U.K., Korea, etc., Vern products have always been an eye-catching attraction. Hair product distributors, international franchise salon owners and hairdressers alike all recommend Vern products which help them reach a new high of their career. The newest product— Vern Intelligent Combined Curved Scissors and Vern Bridges also becomes the state-of-the-art topic of hairdressing trend. 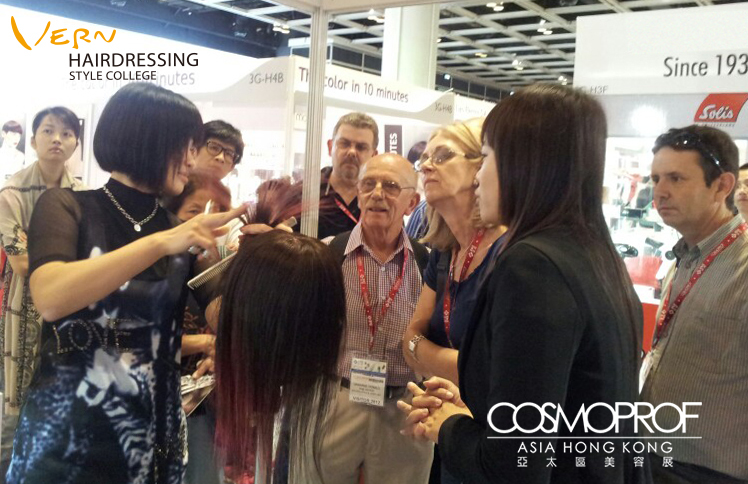 The subsequent exhibition in Salon International in London and Cosmoprof Asia in Hong Kong will bring you to witness the amazing hairdressing stream from Taiwan.